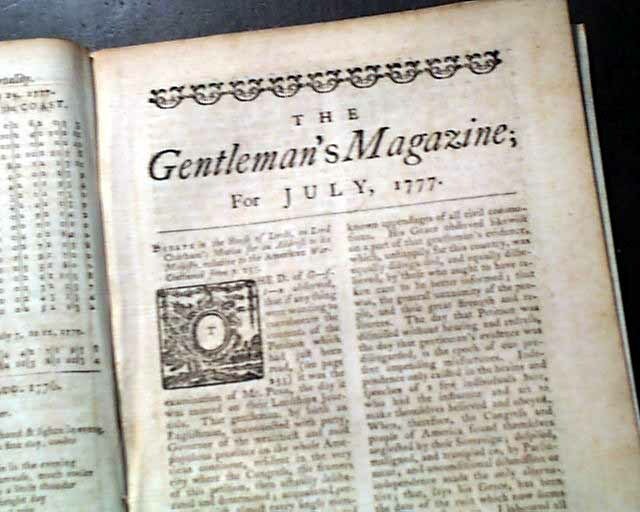 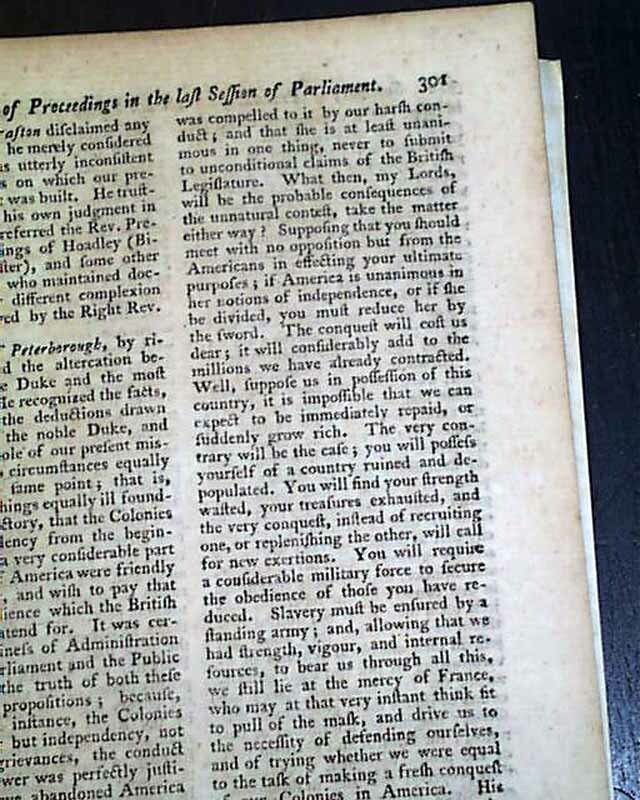 Item # 642249 THE GENTLEMAN'S MAGAZINE, London, July, 1777 The issue begins with a continuation of the: "Debate in the House of Lords...relative to the American War" taking over 5 pages & with much on the Revolutionary War. 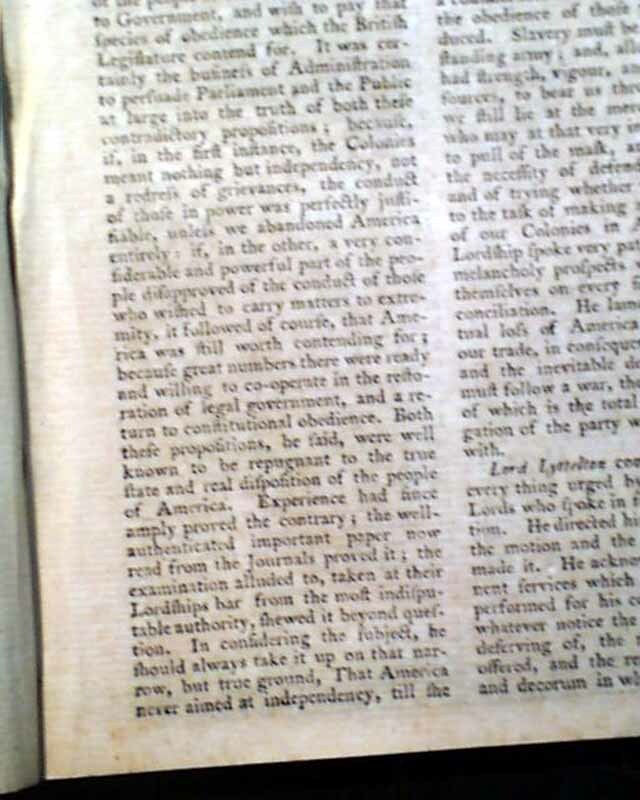 One bit notes: "...That America never aimed at independence till she was compelled to it by our harsh conduct; and that she is at least unanimous in one thing, never to submit to unconditional claims of the British Legislature...". 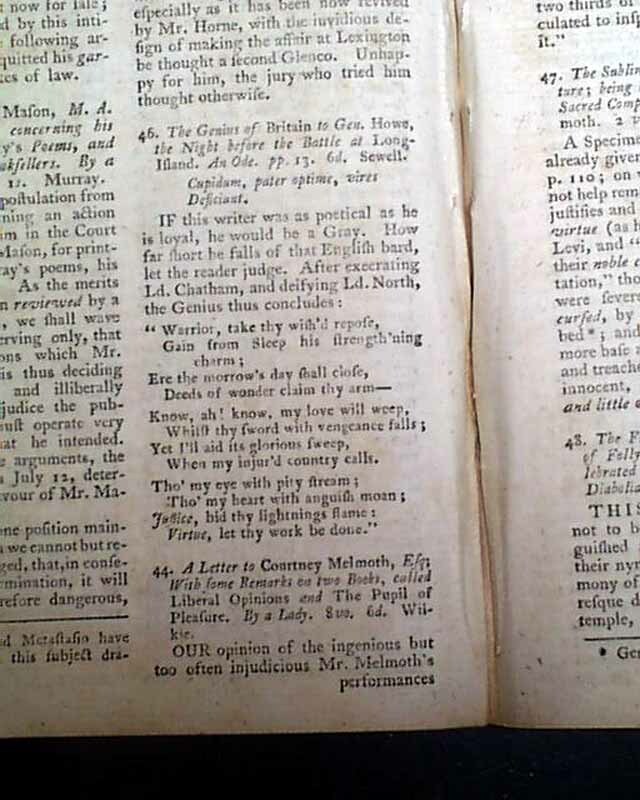 Further on is "An Ode" titled "The Genius of Britain to Gen. Howe, the Night before the Battle at Long Island". 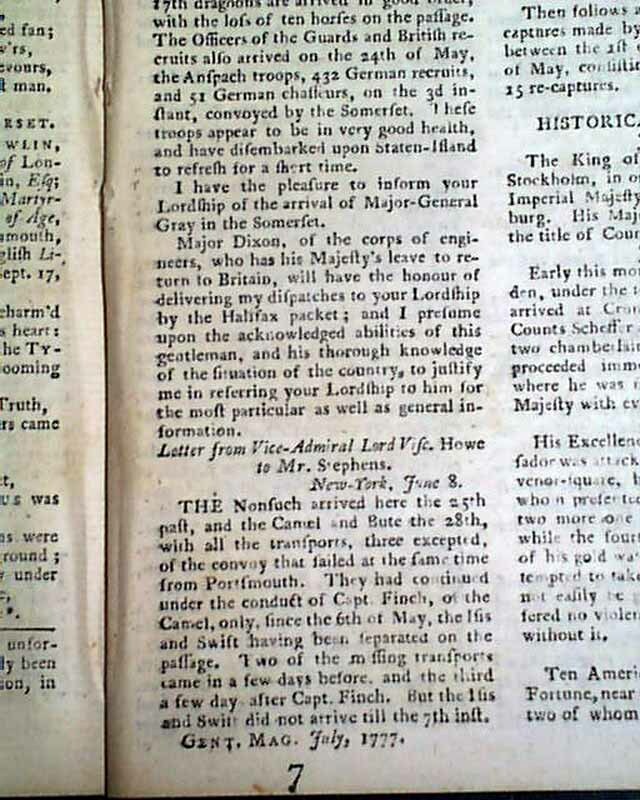 Near the back is "American Affairs" which includes a letter from General How dated at New York, June 3, 1777, followed by a letter from Vice-Admiral Lord Howe to Mr. Stephens, dated June 8 (see). 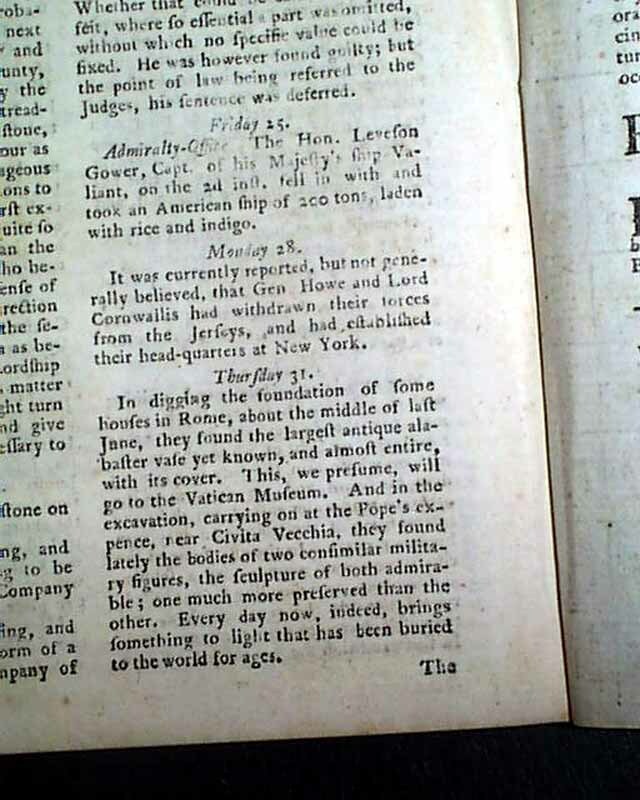 A short note says: "Ten American prisoners, confined at Fortune, near Gosport, made their escape; two of whom have since been taken." 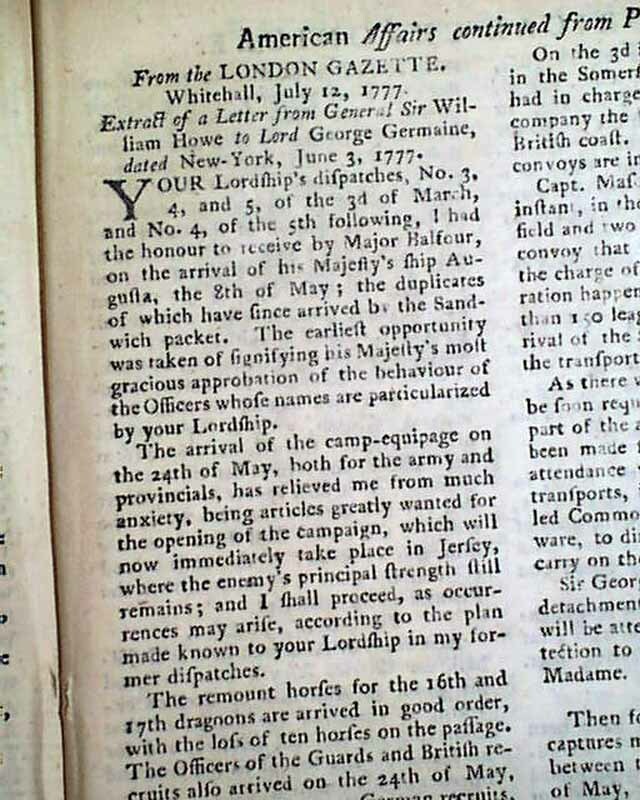 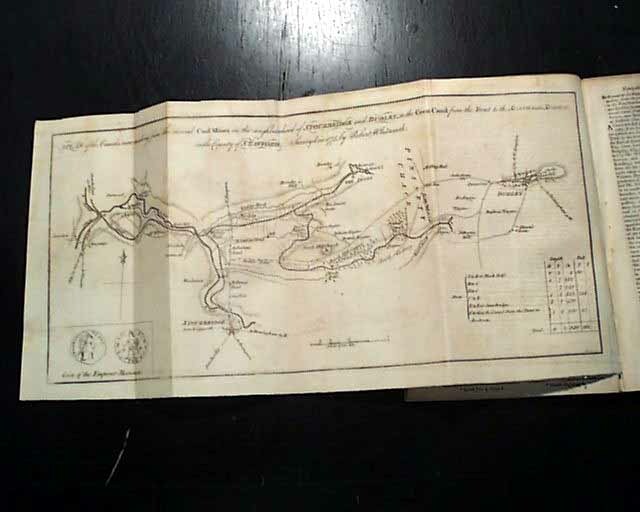 Another brief note reads: "It was currently reported, but not generally believe, that Gen. Howe & Lord Cornwallis had withdrawn their forces from the Jerseys and had established their head-quarters at New York." 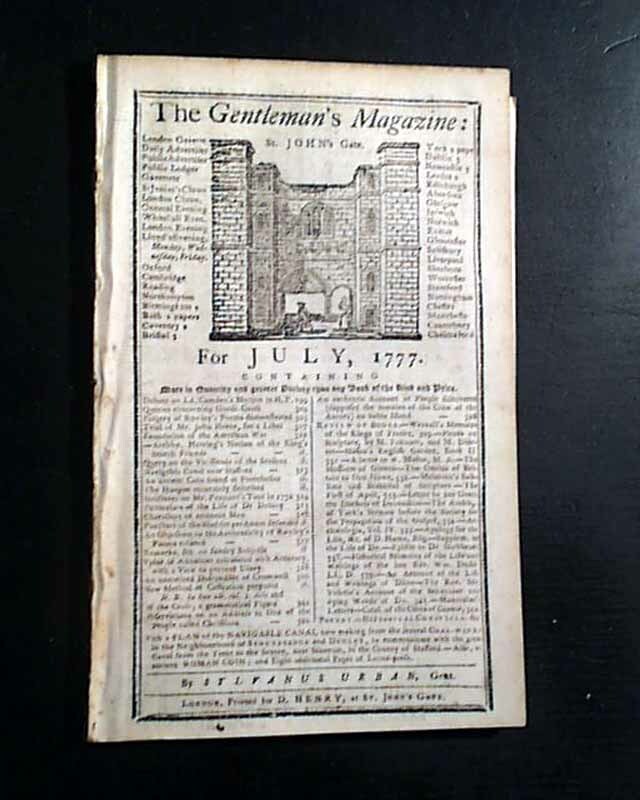 Complete in 56 pages, 5 by 8 1/4 inches, full title/contents page with an engraving of St. John's Gate, great condition.